At Long Last….Food Allergy Treatment is Here! Food allergies can cause hay fever, hives, eczema, swelling and itching of the mouth and throat, and gastrointestinal problems to include cramping, gas, diarrhea and even vomiting. As common as food allergies are and as miserable as they can make people, there has not been a good option for food allergy treatment until the recent past. People simply had to stay away from trigger foods—no easy feat when you are allergic to one of the “big eight” such as wheat, milk, or eggs that are in so many foods. Happily, though, a new day has dawned in the field of food allergy treatment. A treatment known as sublingual immunotherapy (SLIT) has been used for more than 30 years as an alternative to allergy shots, and now it is being prescribed as a food allergy treatment. With sublingual immunotherapy for food allergies, antigen is placed under the tongue and absorbs into the bloodstream. That antigen contains extracts of food proteins that cause allergic reactions. The extract is given in such small doses that reactions rarely develop. Instead, the body begins to develop an immunity to it, so that it no longer perceives those food proteins as a threat that should be responded to with an allergic reaction. Though this treatment has been used for quite some time, it made big headlines a couple years ago when researchers at Duke University used it to desensitize children to peanuts. 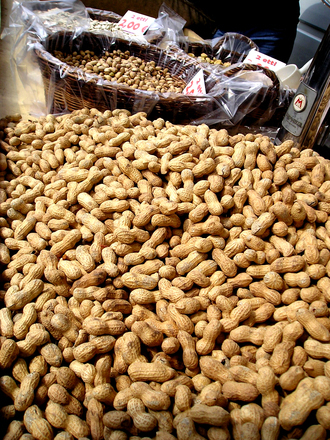 (Note that peanut allergies are among the most serious of all and can even be life-threatening). Sublingual food allergy drops have been shown to be useful as a wheat, egg, and milk allergy treatment as well as a treatment for dozens of other food allergies (rice, soy, fruits, veggies, etc.) They can also be helpful as an allergy treatment for kids’ food allergies. (Allergy drops have been found to be safer and more user-friendly for kids than shots are). Contact AllergyEasy for more details. Allergy Easy > Allergy Information > At Long Last….Food Allergy Treatment is Here!